Large blooms encircled with large pastel double flowers of blue or pink. Strong rebloomer in sun to part sun. 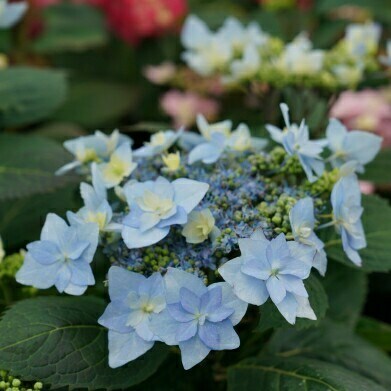 Add aluminum sulfate to the soil to encourage blue flower color.